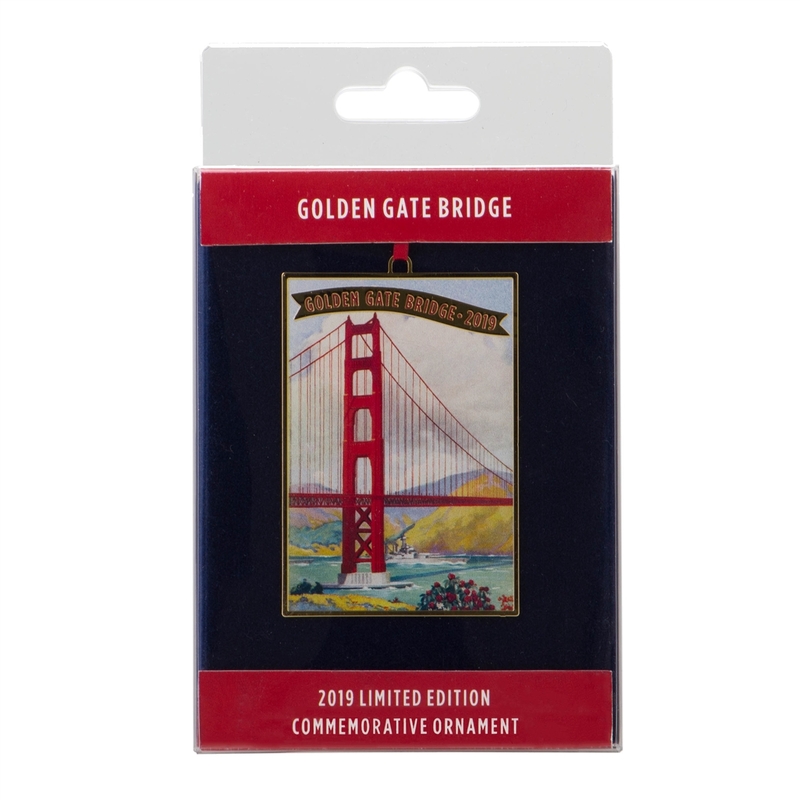 Celebrate the Golden Gate Bridge with this limited edition 2019 Commemorative Ornament. Soaring majestically over the entrance to San Francisco Bay, the Golden Gate Bridge is an internationally recognized icon of design and engineering. 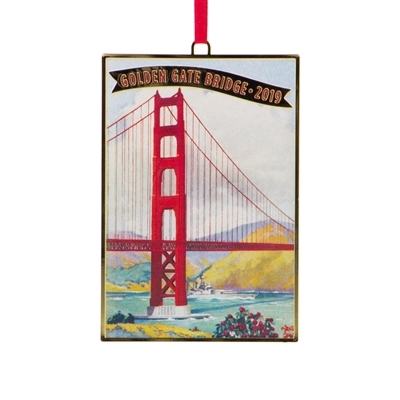 Commemorate your visit to the bridge with this lovely addition to your ornament collection. With a vintage-inspired design and gold accents, this piece captures the dramatic beauty of the Golden Gate Bridge rising above the sun-kissed hills of the Marin Headlands and the glistening waters of the Pacific Ocean. Packaged in plastic gift box with blue velvet board and red paper insert.